Your pics show lots of growing points remaining. Crown retrenchment leads to crown regeneration, and a sustainable future. This is why the German term for this work is translated as “Regenerative Pruning”. 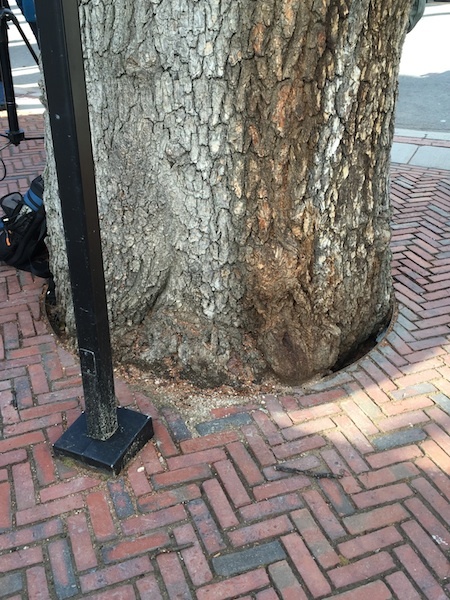 Nice also to see that the sidewalk design allows those bricks at the base to be moved. Guy, thanks very much for your comment; I always look to you for info on regenerative pruning. Do I recall correctly that you stopped by to see these trees last year? 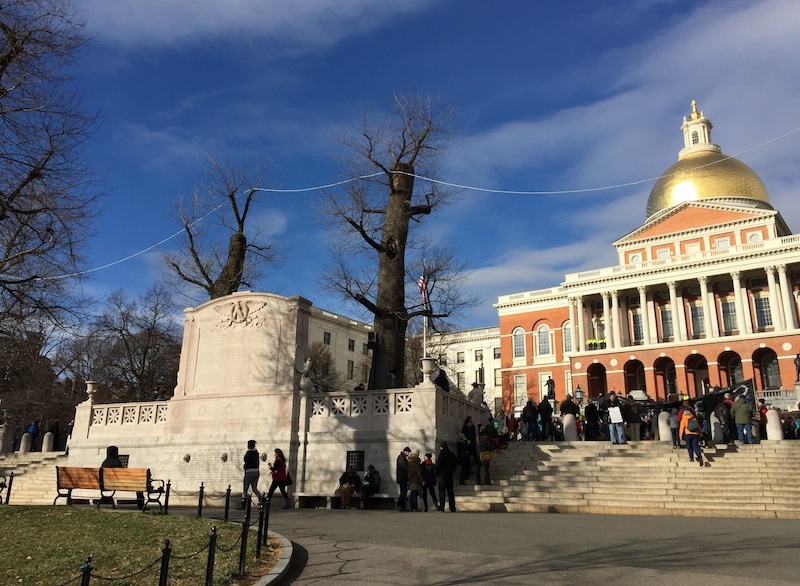 The number of people traversing the Boston Common, Public Garden and Commonwealth Avenue Mall may lighten up in winter months, but it is a busy season when it comes to Friends tree care projects, and is a particularly good time for pruning. Crews have been busy over the past few weeks pruning trees, work that will continue throughout winter and into spring. 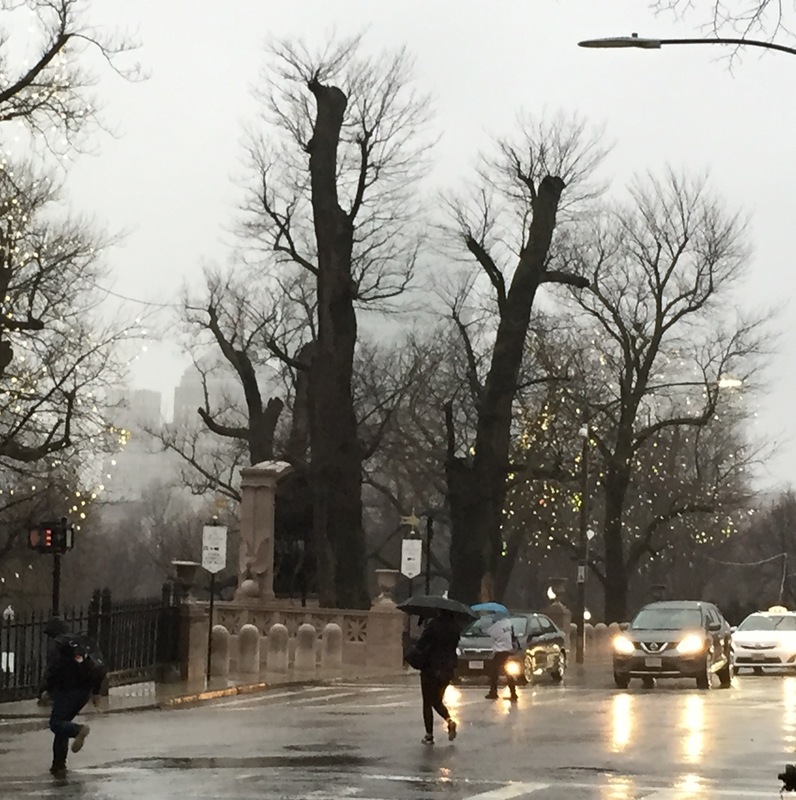 We were getting ready to update everyone on the pruning of the historic elms located at the Shaw Memorial on Boston Common when we came across a wonderful blog post by Deborah Howe. We wanted to share it with you. I’ve spent a lot of time looking at that statue, but never noticed the trees. Thanks for giving me a new perspective. Now I have to go read about that vault where the roots are. Quite intriguing.